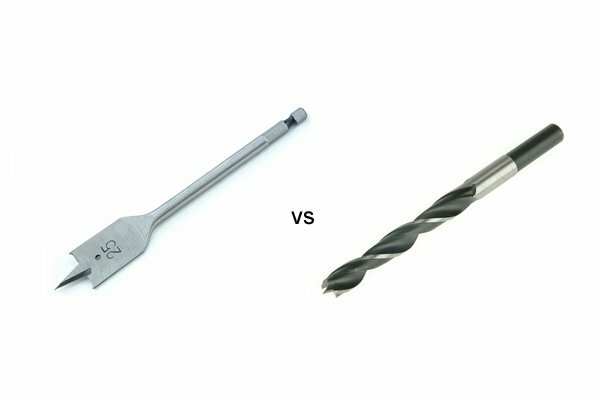 Why would you choose a spade bit over other drill bits? 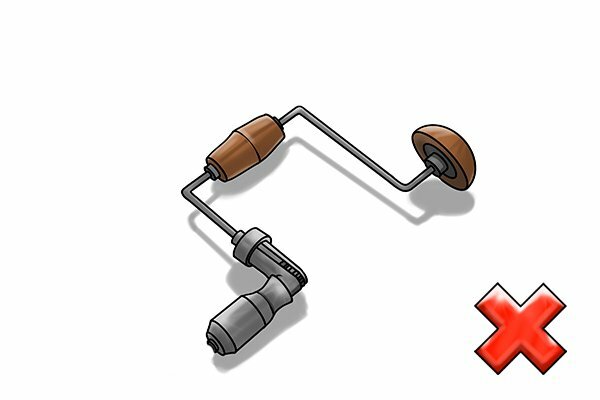 What is a spade bit? 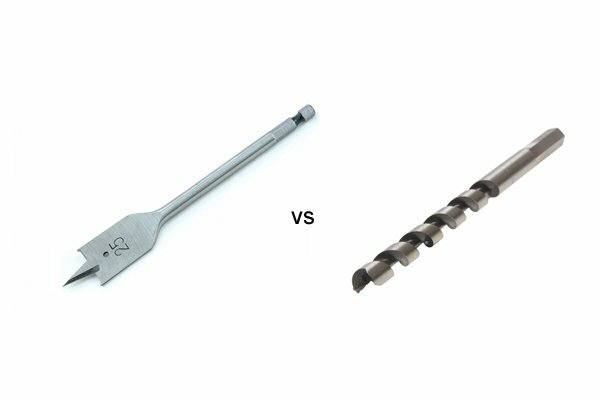 What is a spade bit used for? 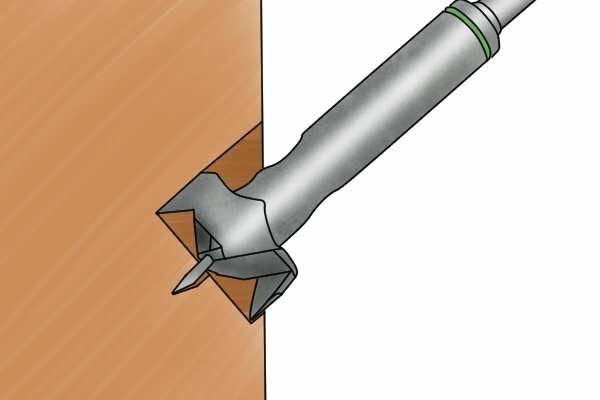 What are the parts of a spade bit? 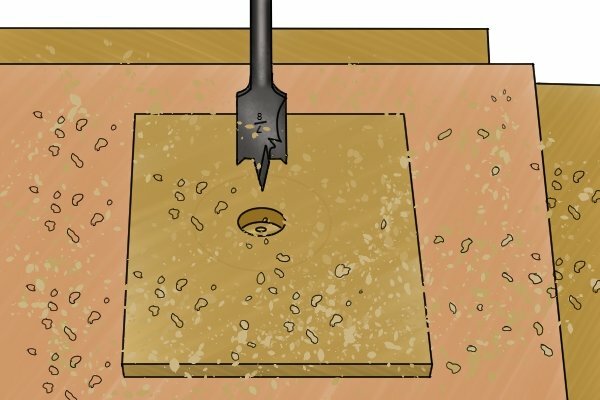 How does a spade bit work? How are spade bits manufactured? 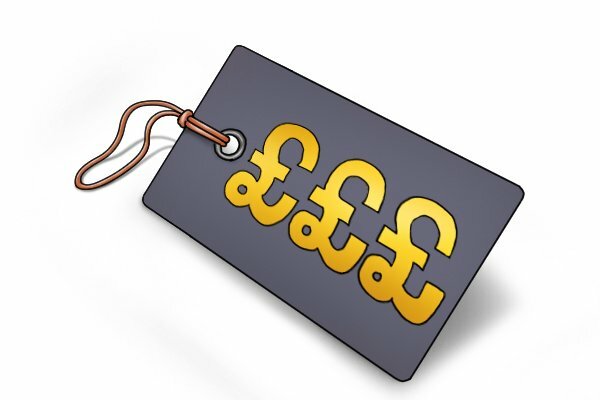 What are spade bits made of? What are spade bits coated with? 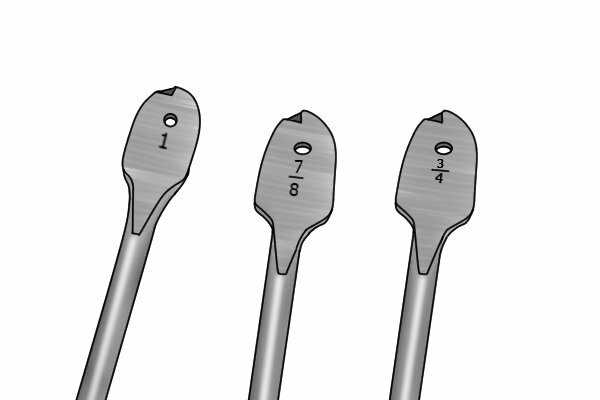 What sizes of spade bit are available? Spade bits are more popular in the US than they are in the UK, so what is it that the Americans see in them that some Britons don't? 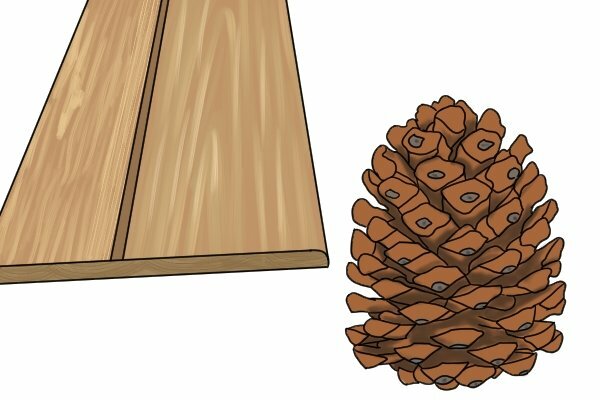 Spade bits can often be cheaper than other types of wood boring bits, meaning they can be an affordable way to tool up for a woodworking project. 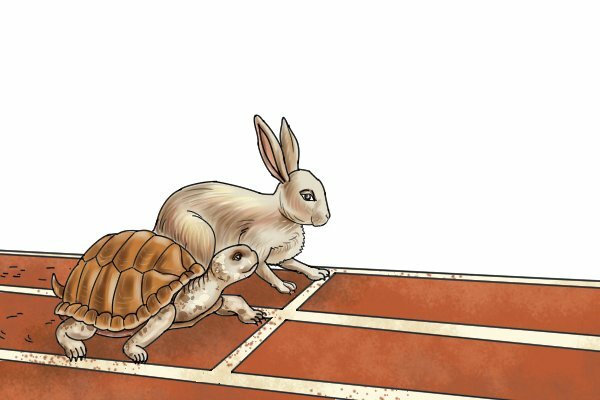 They bore holes at a rapid speed. Thanks to their simple design, spade bits are easy to modify. 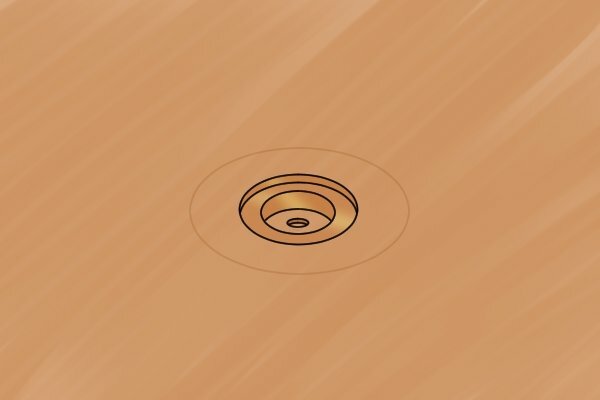 This might be necessary if you need a hole that is slightly smaller than one of the sizes of bit that you own, or if you want to angle the sides of your bit to drill a tapered hole. 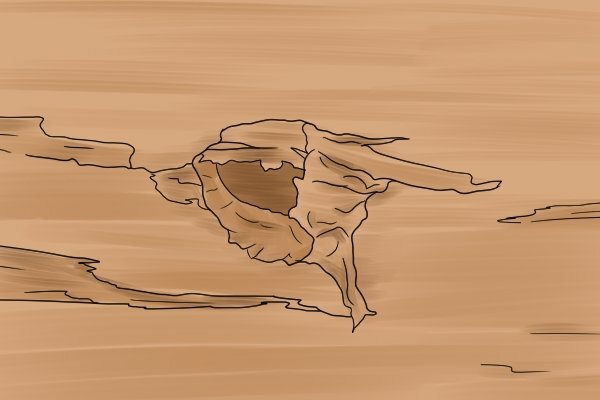 Spade bits cause tear out (splintering) when drilling all the way through a wooden workpiece unless you use a sacrificial piece of wood as a backing. They need to be spun too quickly to be used in hand-powered drills. To be effective, they should be used in a power drill or drill press. Spade bits bore rough holes, which are even more untidy if the bit is blunt. They are most effective on softwoods. While they can be used on hardwoods, they bore much more untidily in these materials due to increased resistance from their tougher fibres. 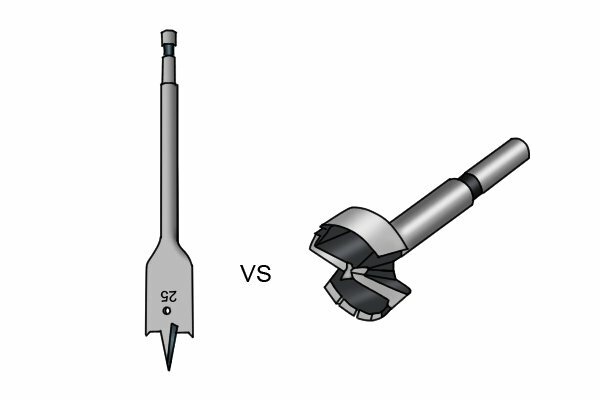 Auger bits require much less downward force to operate than spade bits, meaning they require less effort to use. 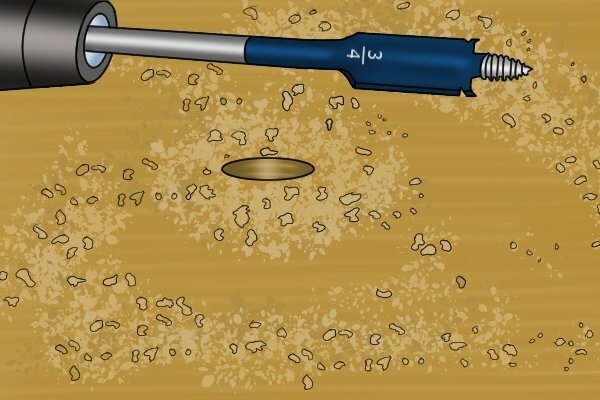 Auger bits clear waste from a bore hole much more efficiently than spade bits. 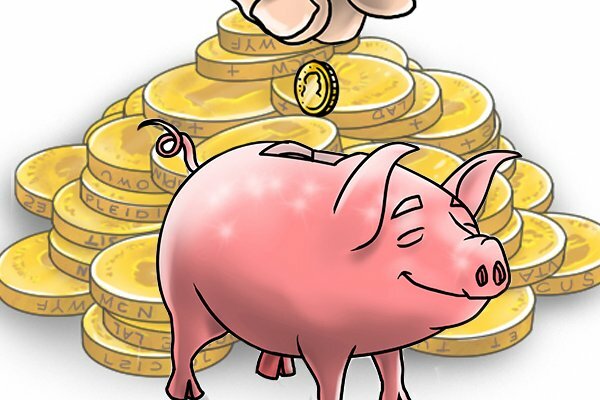 However, they sacrifice a lot of speed for these benefits, and therefore bore holes more slowly than spade bits. Brad point bits are much neater than spade bits. 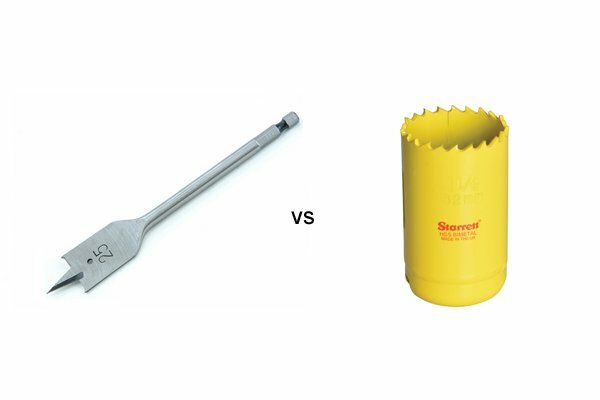 However, they are more expensive, and better suited to drilling smaller holes as they do not come in sizes as big as spade bits. Spade bits are much messier than Forstner bits, which drill very clean, neat holes. 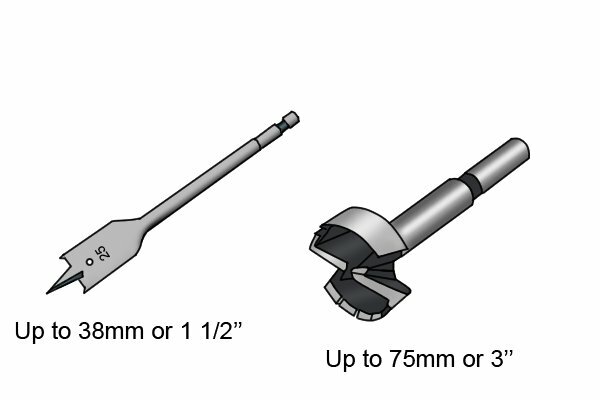 Forstner bits are also available in much larger diameters than spade bits. 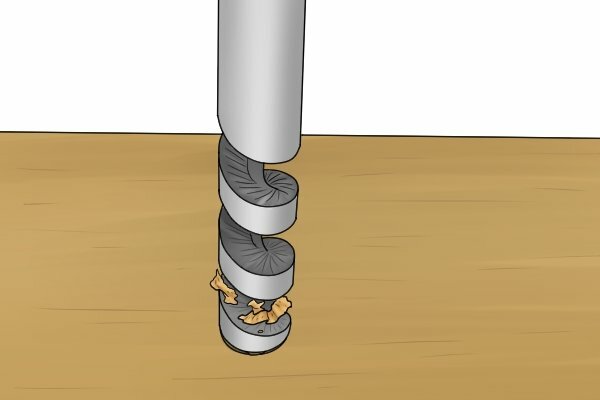 Additionally, Forstner bits can be used to drill into surfaces at an angle. 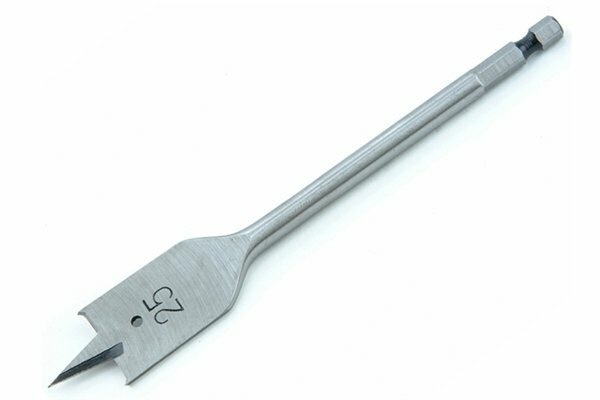 This is not easily done with a spade bit, as a lot of strength is required to hold the bit in place and prevent it from going off course due to its flat shape. Spade bits bore holes much more quickly than Forstner bits, though, making them better suited to jobs where a lot of holes need to be bored in a short space of time, and where neatness is not an issue. 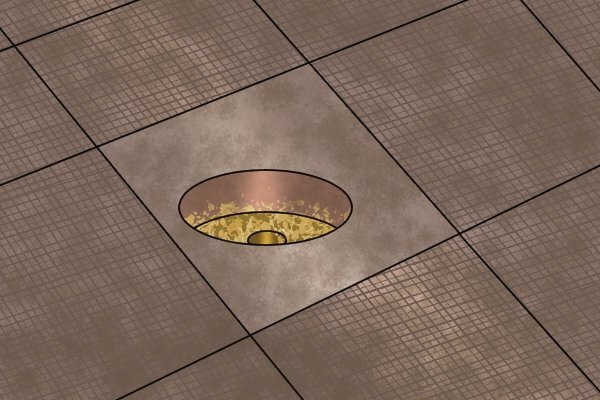 Spade bits are not capable of boring holes as wide as hole saws, and they are not as neat. However, hole saws cannot bore partial holes, unlike spade bits. They can also get plugged with waste material very easily if they are drilling a large hole.